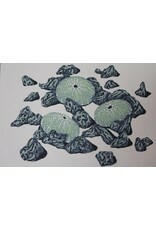 "This print is based on a drawing I did of sea urchins. 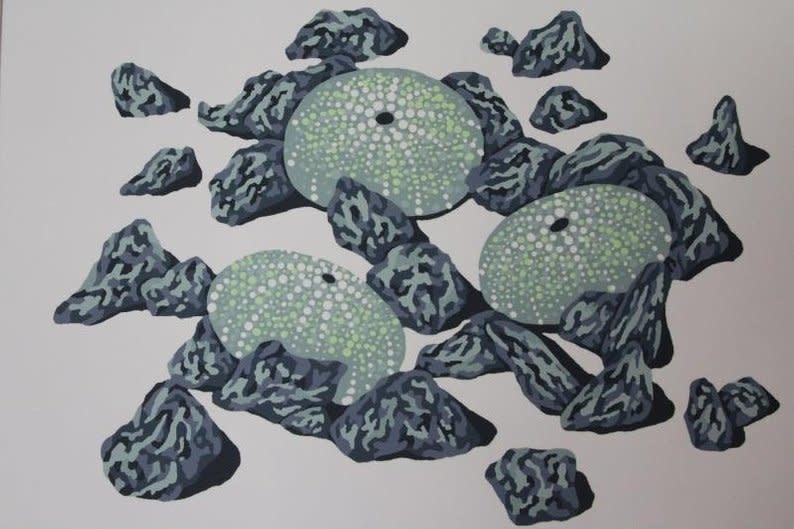 This is an edition of 100 prints and the one shown here is 1/100 (prints shipped to buyers may be any number in the edition but the image will be the same). The image size is approximately 6" x 8" and fits nicely into an 8" x 10" mat opening. Each print includes the edition number, the title, and my signature. All of my prints are pulled by hand. I used acid free Stonehenge paper and archival water-based inks. 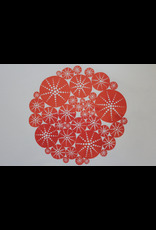 This is a reduction print where each layer was printed after I filled in specific areas of the screen with screen filler." 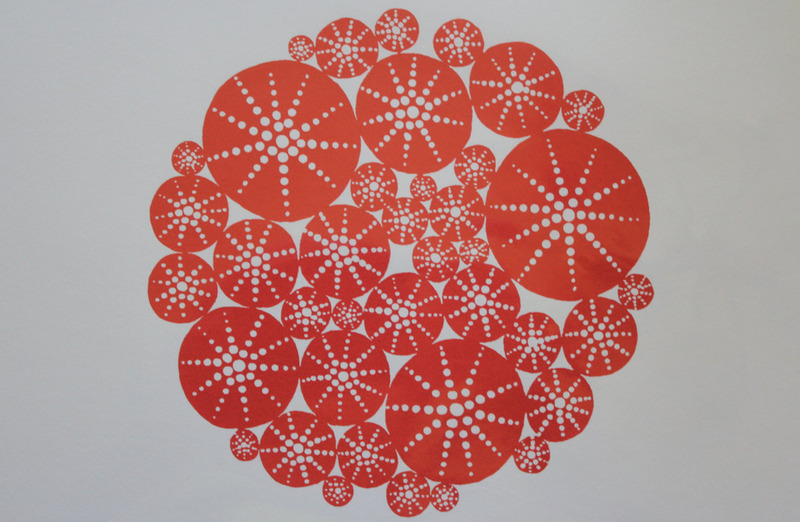 "To produce this image, I drew a circle of urchins on paper and then placed it beneath my screen. Then using a very small brush, I painted all of the white areas of my design on the screen with screen filler. This is one of a varied edition of 200 prints and it fits nicely in an 8" x 10" mat window. I printed on acid free Stonehenge paper and each one is signed, numbered and titled at the bottom."